The mission of the Community Council of the Rio Grande Valley is to promote the adequate and effective provision of needed health and social services by non-profit, as well as governmental organizations. The Community Council of the Rio Grande Valley is a non-profit organization that offers a centralized, comprehensive, cross-category set of resources to individuals, families, groups and service organizations in Starr, Hidalgo, Cameron and Willacy counties. It is organized to provide a program of services in terms of three major components: Information & Referral Services, Community and Development Planning and Volunteer Action Services. Option 1: for information on resources available in your area, available 24 hours a day, 7 days a week throughout the year. Information is available in more than 90 languages. Calls are answered by trained specialists who will help you find resources in your community. Option 2: for information on state benefits (YourTexasBenefits.com). Available Monday thru Friday from 8 am to 6 pm. 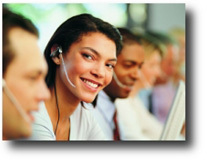 Calls are answered by HHSC Office of Eligibility Services. Option 3: to report waste, fraud, and abuse (Report). Available Monday thru Friday from 8 am to 5 pm. Calls are answered by HHSC Office of the Inspector General. Option 4: to sign up for State of Texas Emergency Assistance Registry (STEAR) offers a route for registrants to provide their emergency transportation information to their local emergency management offices.